DEV_Exeter. Dight, Anne. 1668. Bookseller. DEV_Exeter. Dight, Anne. 1668. Bookseller. Ford, Thomas, 1598-1674. Aytokatakritov. Or, the sinner condemned of himself: being a plea for God, against all the ungodly, proving them alone guilty of their own destruction; and that they shall be condemned in the great day of account, not for that they lacked, but only because they neglected the means of their salvation. And also, shewing, how fallacious and frivolous a pretence it is in any, to say, they would do better, if they could; when indeed all men could, and might do better, if they would. By one, that wisheth better to all, that most do to themselves. - London : Printed for Edward Brewster, and are to be sold by Anne Dight, bookseller in Exon , 1668. - ,256p ; 8°. - Wing2 F1511; *Dredge p.93. DEV_Exeter. Dight, Edward. 1631 - 1635. Bookseller. DEV_Exeter. Dight, Edward. 1631. Bookseller. Beard, Thomas. The theatre of God's judgements. By Thomas Beard, preacher of the word of God in the towne of Huntingdon. - London : Printed by Adam Islip for Michael Sparke and are to be sould by Edward Dight, bookseller of Excester , 1631. - *Burnet Morris; STC 1661.5. DEV_Exeter. Dight, Edward. 1631. Bookseller. Fitz-Geffrie, Charles. The curse of corne-horders : with the blessing of seasonable selling. In three sermons, on Pro. II. 26. Begun at Bodmyn and continued at Fowy. By Charles Fitz-Geffrie. - [London] : Printed at London by I.B. for Edward Dight, dwelling in Excester , 1631. - 4°. - Variant imprint: Printed at London by I.B. for Michael Sparke,at the Blew Bible in Greenarbor , 1631. - *Dredge p.7; STC 10939. DEV_Exeter. Dight, Edward. 1635. Bookseller*. Pecke, Richard. Christs vvatch-vvord. Occasioned on the fvnerall of the truly reverend Mr Laurence Bodley, Bachelour of Divinity, late Fellow of Exeter Colledge in Oxford, and Rector of Clist-Hidon in Devon. By Richard Pecke, Master of Arts, and minister of Gods Word in Columpton. - London : printed by Anne Griffin and are to be sold by Iohn Moungwell and Edward Dight, book-sellers in Exeter, 1635. - ESTC. DEV_Exeter. Dight, Edward. 1635. Bookseller. Balbani, Niccolo. The Italian convert, newes from Italy of a second Moses [etc.] Put into English: and now published by W. C[rashaw.]. - London A. G[riffin,] sold by E. Dight of Exeter, 1635. - ESTC. DEV_Exeter. Dight, Walter . 1641 - 1668. Bookseller. DEV_Exeter. Dight, Walter . 1641. Bookseller. Quarles, Francis, 1592-1644. Enchyridion containing institutions, divine. Contemplative practicall. Morall. Ethycall. Oeconomicall. Politicall. Written by Fra. Quarles. - [London] : Printed at London by T. Cotes, for G. Hutton, and are to be sold by W. Dight in Exeter, 1641. DEV_Exeter. Dight, Walter . 1641. Bookseller. Trescot, Thomas, 1611 or 12-1684. The zealous magistrate. 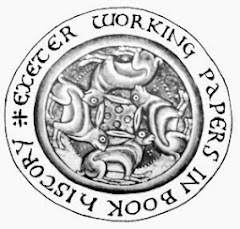 Set forth in a sermon, preached in Exeter, before the Right Honourable Sir Robert Foster, his Majesties justice of Aßize for the western circuit. By Thomas Trescot, Master of Arts, and Rector of the Church of Invvardleigh in Delton. It is this 10th. day of October 1642. (by the committee of the House of Commons concerning printing) ordered, that this book, intituled, The zealous magistrate, &c. be printed Iohn White. - London : printed for Edward Dight, to be sold by Walter Dight, book-seller in Exeter, 1642 [i.e. 1643]. DEV_Exeter. Dight, Walter . 1667. Bookseller. Cleland, Benjamin, 1602-1676. The saints encouragement or a treatise wherein is handled, how we may ease our troubled hearts, by believing in God and his son Jesus Christ: as also, by considering our future happiness in Gods house in heaven, with the means by which we may come to be partakers of it, and marks to know, whether or no we are such as shall be inheritors of it. Together with the comforts arising from Christs Second coming, and our being with him in heaven. By Benjamin Cleland, M.A. Minister in Devon. - London : Printed by John Redmayne for Walter Dight, over against the Guildhal in Exon , 1667. - 8°. - *Dredge p.8 (Dymond). DEV_Exeter. Dight, Walter . 1668. Bookseller. Stoddon, Samuel. The voice of the rod, or God's controversie pleaded with man. Being a plain and brief discourse on Mich. 6.9. By L.N. [Philomathes. Greek type]. ... - London : Printed for Walter Dight, bookseller in Exeter , 1668. - ,288p ; 8°. - Wing1 S5715; *Dredge p8; Sheaves 2 p.354-5 . - Variant author statement and imprint: ... By Samuel Stoddon, Minister of God's word. ... - London : Printed for the author, and are to be sold by Robert Boulter, at the sign of the Turks-head in Bishops-gate-street, near Gresham Colledge , 1668. DEV_Exeter. Dight, Walter . 1678 - 1699. Bookseller. DEV_Exeter. Dight, Walter . 1678. Bookseller. Reynolds, John, d. 1693?. Vituli labiorum. Or, A thanksgiving sermon, in commemoration of our great deliverance from the horrid Powder-Plot, 1605. And also of Gods merciful discovery of a bloody conspiracy against His Majesties Person, and the Protestant religion, 1678. Both intended by the papists Preached at St. Peter's, Exon, Nov. 5. 1678. In prosecution whereof the Churches persecutions, foreign and domestick, by the hands of popish votaries, ever since the Reformation, are briefly recapitulated. Their charge of novelty on our church and religion is retorted. The absurdity of many of their doctrines and principles, and how destructive unto civil government, is detected. By John Reynolds, M.A. - London : printed for Tho. Cockeril at the Three Leggs in the Poultry: and Walter Dight bookseller in Exceter, 1678. - 4°. - Wing1 R1318; *Clough. DEV_Exeter. Dight, Walter . 1684. Bookseller. Reynolds, John. Schechinah : or, the saints love unto the house of God, because of Gods special presence there. Being the first sermon preached in the body of the Cathedral-Church of St. Peters, Exon ; after the erecting of new seats and a pulpit there. July 27, 1684. By John Reynolds, M.A. one of the prebendaries of that church. - London : Printed by J.C. and Freeman Collins ; and are to be sold by Walter Dight bookseller in Exon , 1684. - ,24p ; 4°. - Held by: Devon Heritage Centre. - Dredge p.9 (Dymond); DUL 60730. DEV_Exeter. Dight, Walter . 1693. Bookseller. Mayne, Zachary, 1631-1694. Sanctification by faith vindicated: in a discourse on the seventh chapter of the epistle of St. Paul to the Romans, compared with the sixth and eighth chapters of the same epistle. Written by Zachary Mayne, M.A. To which is prefixt a preface by Mr. Rob. Burscough. Licensed Sept. 11th, 1693. (London : printed by W[illiam]. O[nley]. for John Salusbury, and sold by Walter Dight in Exon, MDCXCIII. . - ,vii,,viii,43,p ; 4°. - Wing2 M1486; *Dredge p.62 (Bodleian); Sheaves 1 p.538. DEV_Exeter. Dight, Walter . 1699. Bookseller. Collection of choice books in English and Latin: containing divinity, philosophy, and physick; with several other choice mathematical books, to be sold by way of auction, or, who bids most, in the city of Exon, on [blank] the [blank] day of April next ensuing, at the [blank] beginning exact at two of the clock in the afternoon, provided there are fourteen buyers do appear. All persons who please to attend shall be sure of all possible satisfaction, where catalogues will be delivered gratis: as also at the particular coffee-houses, and at Walter Dight's shop, bookseller, against the Guild-Hall, Exon. - [London : s.n., 1699]. - *ESTC.